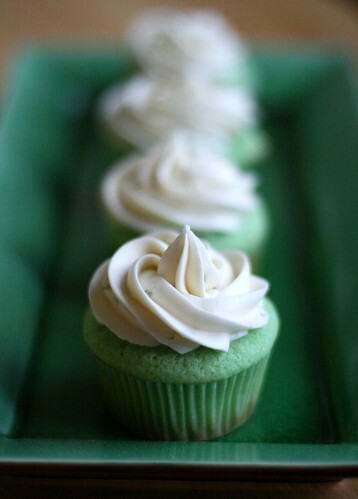 I found these cupcakes on bonappetit.com around St. Patrick’s day. I bookmarked them and ended up making them for just my family on St. Patrick’s day and they quickly became my favorite cupcake. Yes chocolate is good and will probably be a near favorite but these? Superb. 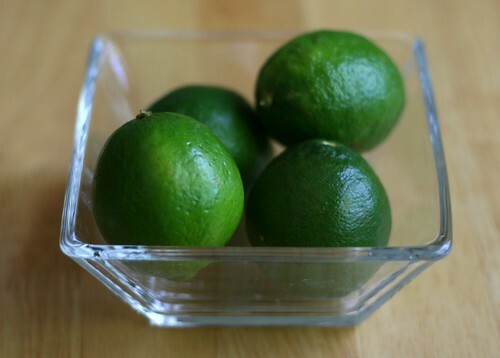 Bon Appetit calls them key lime cupcakes, but the recipe just says “limes”, not key limes. 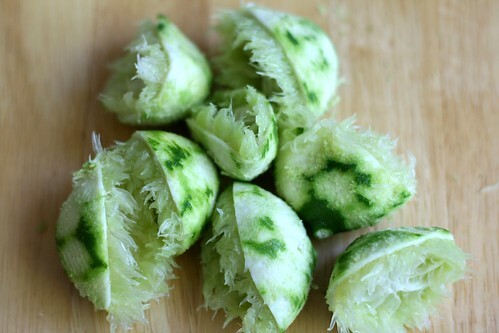 I couldn’t find key limes either, so these can’t really be called key lime cupcakes. I’m very late getting this recipe up this will mostly be pictures followed by the recipes. Enjoy! 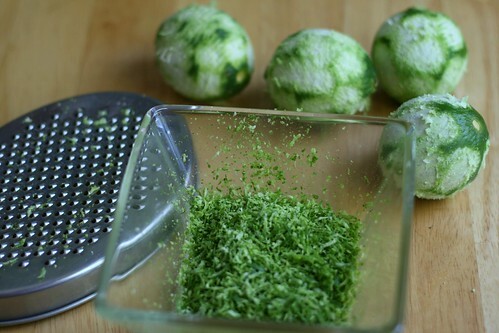 The four limes gave me just enough lime juice. I wished I’d had another just in case, but it all worked out. 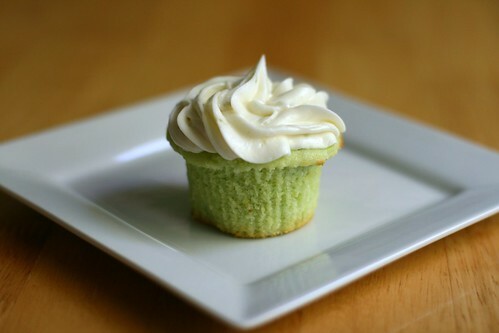 The recipe doesn’t call for lime juice in the frosting, but I added some in the first time I made these and the frosting was amazing. So I knew I needed about a tablespoon for the frosting. The recipe says it will looking may look curdled and my certainly did. From here on you won’t see any cupcake pictures from THIS time I made the cupcakes. Because I found out the hard way that room temperature (or in this case 80 degree temp) self rising flour rises a heck of a lot more than straight from the freezer self rising flour. I don’t use self rising flour very often so I keep in the freezer. 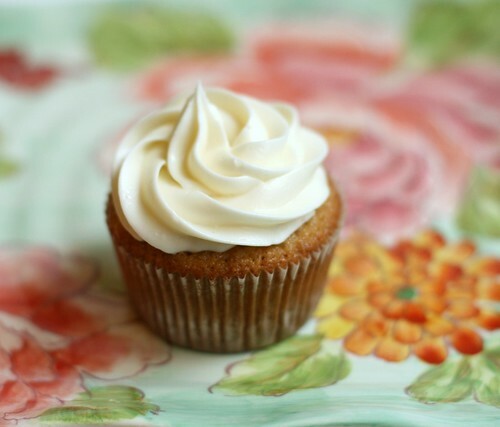 The last time I made these cupcakes I got it from the freezer and made the cupcakes right away. This time I got the flour out the freezer and then realized I didn’t have enough sugar to make the cupcakes. And my son was napping so I couldn’t leave to get any. It wasn’t until the next day where I got the store and made the cupcakes and whoa. 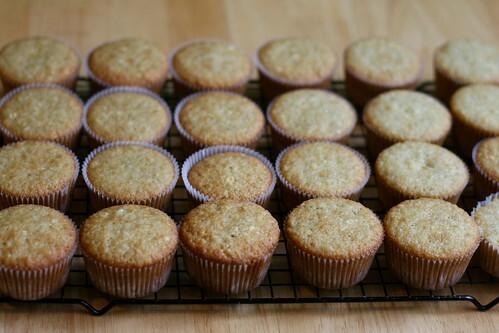 I used the same amount of batter as last time and my cupcakes came very close to overflowing in the oven. Many of them overflowed to the point where the liner was pulling away from the cupcake and it was impossible to get them out of the pan. But I feel like you should know what these cupcakes look like, besides the one picture at top, so I’ll use a picture I took back in March. Hope you forgive me. Preheat oven to 350°F. Line standard muffin pan with 12 paper liners. 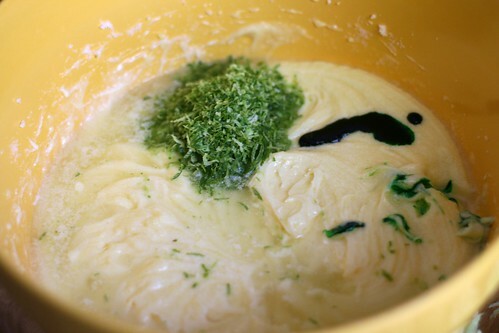 Whisk both flours in medium bowl. Beat butter in large bowl until smooth. Add sugar; beat to blend. 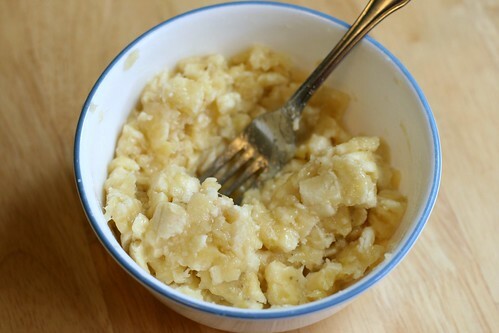 Beat in eggs 1 at a time, then next 3 ingredients (batter may look curdled). Beat in flour mixture in 3 additions alternately with buttermilk in 2 additions. 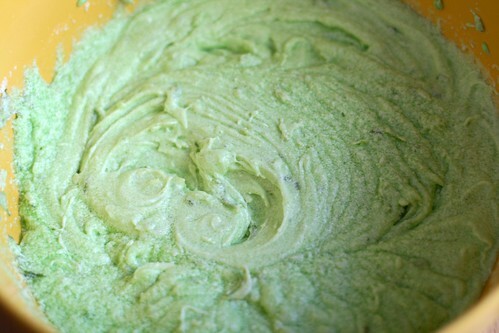 Spoon scant 1/3 cup batter into each liner. 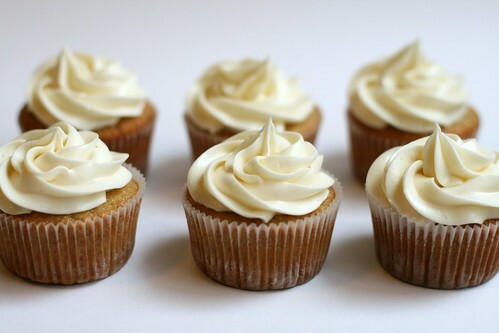 Bake cupcakes until tester inserted into center comes out clean, 20 to 25 minutes. Cool 10 minutes. Remove from pan; cool. Beat all ingredients in medium bowl until smooth. Spread over cupcakes.